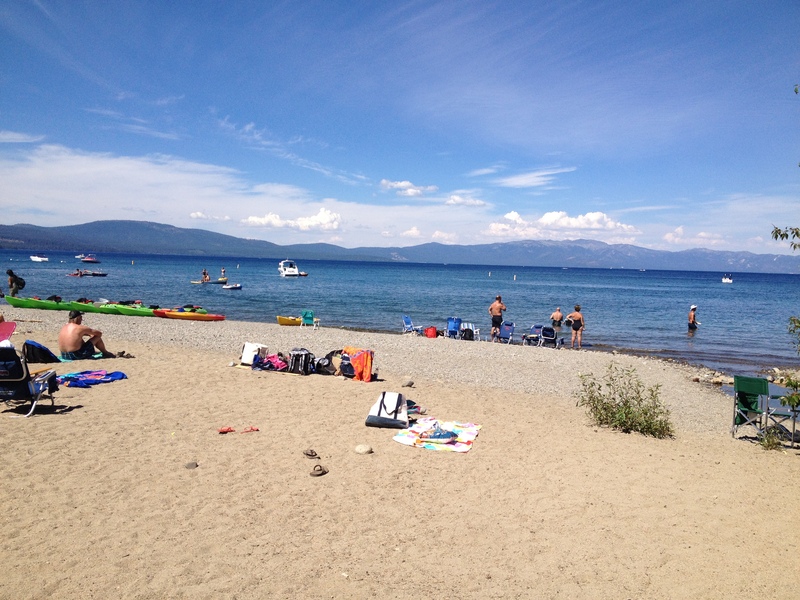 Chambers Landing is a small public beach. Parking along the paved entrance road is the only public parking available. There are no services or BBQ grills, and dogs are required to be on leash. The beach is located near a popular restaurant and bar. No gates. Open sunrise to sunset. Hwy 89, north of Tahoma, Chambers Lodge/ West Lake Blvd. The public side of Chambers Landing is managed by the U.S. Forest Service. The private side of this beach is membership only with the Beach and Mountain Club.